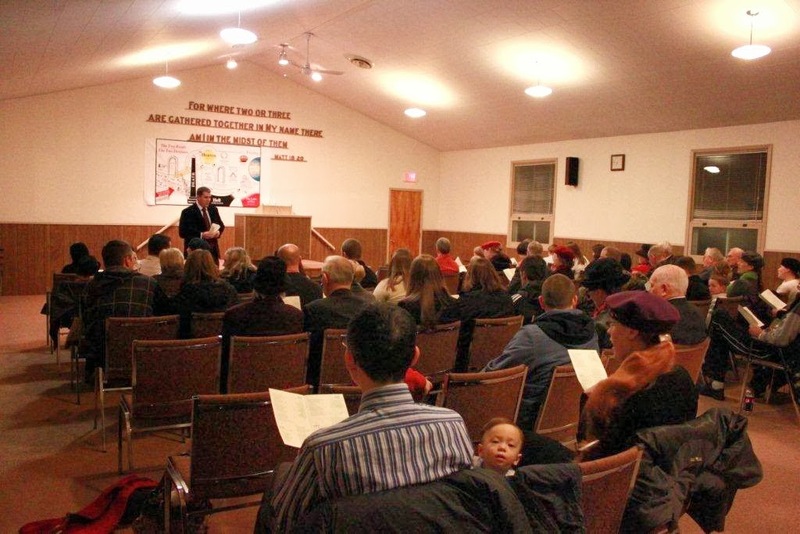 For the past five years the Assembly in Clementsvale, Nova Scotia (Canada)has had the opportunity to reach out to the community in the Gospel by holding a Christmas Eve Service. 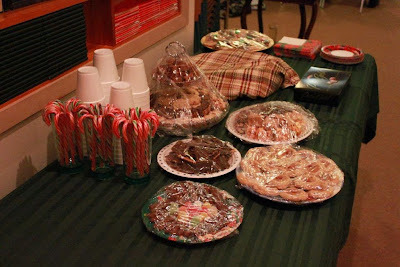 The idea all began when a co-worker asked if our “church” had a Christmas Eve Service. He and his father did not regularly attend any church, but liked to attend a service somewhere on Christmas Eve. It led us to ask the question, “Why not?” If there are people out there who turn their thinking to Christ at Christmas time, why not take the opportunity to present them with the message about Christ from the scriptures? The following year we decided to try it – not knowing if anyone would actually venture out, with the busyness of finishing up their gift wrapping on Christmas Eve. In preparation we mailed out about 1,500 invitation to the surrounding rural communities. On the back of the invitation we also printed a gospel message, condensed from a Christmas Tract, in hopes that some might read it even if they didn’t come. The ladies prepared baked goods and hot apple cider for a snack afterwards. That first year we were pleasantly surprised by having approximately 15 people from the community attending as well as some of the Christians’ families. Many of them had never been in the building before. That was enough encouragement to continue each year since then. We begin the service with about 20 minutes of singing good Christmas Carols, many of which are packed with truth from the scriptures. For the first three years we used an overhead projector for the songs; since then we have used a printed program. The singing is followed by a prayer and a 15 minute gospel message with a Christmas theme. After that we have a table at the back with the snack. It allows us the opportunity to mingle and chat with the people who have come. We also have a table with gospel literature, texts, gospel calendars, etc. We have been encouraged by the attendance of many who would rarely attend “church.” We include in our invitation that the service is “Non-Denominational” hoping to make everyone feel welcome to attend. Each year we get a good number of visitors from the community as well as some unsaved relatives of the Christians. In 2009 a lady attended who is a relative of one of the Christians. The message was about “The Visitors in Bethlehem” and the speaker emphasized that “God visited Earth” in the person of Christ. She questioned the statement that “Christ is God.” She had been previously exposed to wrong doctrine by people meeting with her in her home and telling her that Christ is not God. The Lord used that message to speak to her and she began attending a series of gospel meetings which began the next month. She was saved in that series and today she is in fellowship in the assembly. We give God the glory and look to Him for further blessing. For further information or for electronic copies of any of our invitations or programs, please contact David & Pamela McClelland. Wonderful to read of your Christmas service, too often "separation" has been raised as the reason why assemblies of God have not had services like these at Christmas. Its great to see Christian assemblies changing for the better, all who are part of the "body of Christ" will rejoice at this. Please be encouraged, it would also be wonderful to see Easter services and others at times like Samain's Eve(why should the Devil triumph? ).